We’d love your help. Let us know what’s wrong with this preview of I Was Anastasia by Ariel Lawhon. In an enthralling new feat of historical suspense, Ariel Lawhon unravels the extraordinary twists and turns in Anna Anderson's 50-year battle to be recognized as Anastasia Romanov. Is she the Russian Grand Duchess, a beloved daughter and revered icon, or is she an imposter, the thief of another woman's legacy? Countless others have rendered their verdict. Now it is your tu In an enthralling new feat of historical suspense, Ariel Lawhon unravels the extraordinary twists and turns in Anna Anderson's 50-year battle to be recognized as Anastasia Romanov. Is she the Russian Grand Duchess, a beloved daughter and revered icon, or is she an imposter, the thief of another woman's legacy? To ask other readers questions about I Was Anastasia, please sign up. Is this in any way based on the alleged "new evidence" about Anna Anderson being Anastasia? Is this a “clean” book? I normally only read Christian fiction. I’m interested in reading this book, but not if there is a lot of bad language or graphic scenes. This book, for me, was mediocre. The history behind this story was fascinating, but the way the story was executed, was ill-conceived. There were two alternating story lines that were asynchronous to one another, which made for a pretty confusing reading experience. However, with all that being said, I still really enjoyed the story and the history. This novel chronicled the final days of the Romanov family, shining a light on Anastasia. Did she die in Ekaterinburg with the rest of her family or This book, for me, was mediocre. The history behind this story was fascinating, but the way the story was executed, was ill-conceived. There were two alternating story lines that were asynchronous to one another, which made for a pretty confusing reading experience. However, with all that being said, I still really enjoyed the story and the history. This novel chronicled the final days of the Romanov family, shining a light on Anastasia. Did she die in Ekaterinburg with the rest of her family or didn't she? That is what the author wants the reader to decide. The other story follows a woman claiming to be Anastasia, who goes by Anna Anderson. If you are interested in Russian history, I definitely think you would like this book. I liked the story..I did. I just thought it could have been better. Written better. Told better..
Like Shania Twain says.. "That Don't Impress Me Much"
I am Anastasia by Ariel Lawhon is a 2018 Doubleday publication. No matter how many movies, documentaries, or books I’ve watched or read, the romantic in me simply can’t resist the fascination and the mystery of Anastasia Romanov. This book examines the life of Anna Anderson, who claimed she was Anastasia, while also chronicling the period of time the Romanov’s were in exile, leading up to their execution during the Bolshevik Revolution. Anna’s claims captured our imaginations for decades and spa I am Anastasia by Ariel Lawhon is a 2018 Doubleday publication. Anna’s claims captured our imaginations for decades and sparked many debates over the legitimacy of her pronouncement. While she was often met with skepticism, she also had many staunch supporters. I, for one, always loved the notion surrounding this legend. I hoped, no matter how far-fetched or doubtful the probability, that Anna Anderson really was Anastasia Romanov. If a miracle did happen, and Anastasia somehow managed to survive, we could all rationalize our fascination with the Czar’s daughter, from Ingrid Bergman’s oscar winning portrayal, to the animated Disney film, and all points in between. But, of course, the reality is far more serious and grim. This novel is obviously a very ambitious undertaking. Giving voice to Anastasia, and Anna Anderson, describing minute historical details, adding authentic and vivid dialogue, along with solid pacing, and well-drawn characterizations. This story is very interesting, and the author certainly did her homework, doing a great job of laying out Anna’s complexities. Anna was difficult, but also lived with a host of mental issues, making her a sympathetic figure on occasion, which left me with conflicting emotions. I often wondered how other people who have read this book felt about her in the end. However, I must address the elephant in the room when it comes to the way the author structured the novel. She explains the method to her madness in a note at the end of the book, and it does make sense, from the viewpoint of the writer, and logically, I see where she’s coming from. However, the backwards/forwards, first and third person narratives made the book more difficult to read than need be, in my opinion. I did struggle with the format, I must say. However, others may not be bothered by it at all, and may even benefit from it. I’m not always the sharpest tool in the shed, so there is that. However, I did agree with the concept of separating ‘Anastasia’ from ‘Anna’, but I did wish for a more traditional type of dual timeline, without all that skipping around. The novel’s strongest area is the pacing and the agonizingly taut build -up of suspense. We must watch with mounting dread as the Romanov’s are taken to Siberia, the clock ticking away as they careen towards their ultimate, tragic fate. This part of the story is interwoven with Anna’s as she sits in a German court waiting on their decision, hoping she will at long last lay legitimate and official claim to the name ‘Anastasia Romanov’. The theories mapped out here are very imaginative, plausible, realistic and thought provoking. I can tell the author put a great deal of thought and time into this novel, which is much appreciated. Although it took me a long time to get through the book, really struggling with it at times, ultimately, I found it to be quite interesting and I’m glad I didn’t give up on it. I do recommend this book to anyone who enjoys Romanov history, of course, but be prepared- this is not a fairy tale! I would also recommend this book to anyone who enjoys historical fiction in general. This book will most likely spark your curiosity about the Romanov family and you will want to learn more about this them, and the events leading up to their capture, exile, and murders. Most people know the story of the execution/assassination of Tsar Nicholas II and the rest of the Romanov family in Elakterinburg, Russia at the hands of the Bolsheviks following the Russian revolution. Most have also heard of the woman (Anna Anderson) who claimed for years to be Anastasia Romanov and that she survived the brutal attack that claimed the lives of her family and servants. This is a clever telling of that story. The question about what whether Anastasia Romanov survived the firing squad in the basement has fascinated people for decades. Lack of DNA testing and location of a grave/burial site helped many who stepped forward to claim that she was the sole survivor. Of course, through the passing of time, DNA testing has been conducted and grave site excavations have given a clear answer. But as the saying goes...it's not the destination, it's the journey. Lawhon takes the reader on a unique journey using two story lines. While reading this book, readers will either enjoy or become annoyed by the storytelling. While Anastasia Romanov's story is told chronologically, the story of Anna Anderson is told in reverse. In Author's note, Ariel Lawhon states that the movie "Memento" is a favorite of hers. This style of writing also reminded me of the book "All the missing girls" which was also told in reverse. I found that I rather liked how she told her story. The storytelling was unique, granted, it did take me a couple of chapters to wrap my head around it. Thankfully, the chapters are labeled with the time you are reading. That is a big help! There is a lot of historical detail in this book. It is evident that the Author did a great deal of research prior to the writing of this book. History buffs may detect that Lawhon blended several characters into one (i.e. had one character be a blending of 2 real life guards of the Romanov's) in order to help the reader keep track of events and not be weighed down by too many characters. It is hard to say too much without giving away spoilers, but this work of historical fiction was very good. I really appreciated how she blended historical facts with fiction. If you do not know the entire history about the Romanov's family's fall from grace and the events leading up to their execution, it is laid out for you here. I highly recommend reading the Author's note at the end. I think this is essential. She details her research, why she blended characters, her inspiration for the reverse story telling and what lead her to write this book. I was actually deciding between a 3.5 and a 4 star rating, and then I read the Author's note and that pushed the book to a 4 star rating for me. I love when books cause me to think, feel and also to learn. I did learn some facts while reading this book and I found I often wanted to put the book down and think about what I had just read. Mainly because things in this book really happened. Sitting and thinking about the horrible treatment of this family (especially the girls) and what they endured -living in constant fear and dread, I can't even imagine. Again, interesting story-telling and a compelling read. Thank you to Doubleday books and NetGalley for providing me with an advanced readers copy of this book. i am absolutely obsessed with all things romanov. i couldnt tell you how many times i watched the animated film ‘anastasia’ as a girl. and what i thought was just a childhood phase has slowly become something of a passion, so you can imagine my excitement when this book came out earlier this year. the story of anna anderson is not one that i am too familiar with. i was aware there was someone who claimed to be the grand duchess anastasia, but beyond the claims eventually being dismissed, i knew n i am absolutely obsessed with all things romanov. i couldnt tell you how many times i watched the animated film ‘anastasia’ as a girl. and what i thought was just a childhood phase has slowly become something of a passion, so you can imagine my excitement when this book came out earlier this year. the story of anna anderson is not one that i am too familiar with. i was aware there was someone who claimed to be the grand duchess anastasia, but beyond the claims eventually being dismissed, i knew nothing specific. however, i think that enhanced my reading experience, as i didnt know what to expect and it gave the story a sense of mystery. and although this book is right up my street, i couldnt help but feel a little let down. i think the biggest disappointment was the method in which this story was told. this book tells both annas and anastasias stories in a very nonlinear fashion. anastasias is told chronologically (beginning in 1917) and annas is told backwards (starting in 1970) until the two stories converge. and i understand why it was told this way. unfortunately, what was meant to be alluring only lead to frustration. the constant switching between the two was difficult to follow. also, i was quite bored with annas story, which was half the book. not particularly sure why that was, but i found myself skimming through her chapters just to get to anastasias. regardless of my minor displeasures with this book, there was still a lot of new information that i learned. this book was very well researched and i could tell a lot of time went into making it factually accurate. i dont regret reading it, but i would only recommend it to those really interested in anna andersons story. for those looking for other historical fiction novels about the romanovs final days, i would recommend ‘the kitchen boy’ or ‘the house of special purpose’ instead. Being approved to read an early copy of I Was Anastasia was like winning the lottery to this historical fiction fan. Not only because of my love for the genre, but also because of my interest in Anastasia. Not because she was a princess necessarily, but because growing up I remember discussions about Anna Anderson and if she was or was not the real Anastasia Romanov. Ariel Lawhon ambitiously tackles this notion in a genius structure through writing from two viewpoints in different timelines, Anastasia’s in forward-progression, and Anna’s in reverse. In the Author’s Note, Lawhon describes that it was challenging to write this way, and I kept thinking that as I read. She even read biographies of Anna Anderson in reverse order so that she would formulate it in her head the way she would eventually write Anna’s voice. It would have been easier to write in linear form, and perhaps easier for the reader to follow; but I enjoyed this convergence in storylines. It built the suspense for me. Even though I already knew the true outcome, I longed for a different one as I quickly read through this book waiting for the timelines to intersect, waiting for the answer Lawhon would write. Reading the Author’s Note also inspired me to dig deeper into Romanov history. I have a nonfiction book she cited as a reference, The Romanov Sisters: The Lost Lives of the Daughters of Nicholas and Alexandra, and plan to read it soon to learn more. Thank you to Ariel Lawhon, Doubleday, and Netgalley for the ARC. I Was Anastasia is available now! 3.5 I am fairly familiar with the last days of the Romanovs, having read a few non fiction books about the subject. The woman who appears and tries to prove that she is a Romanovs daughter Anastasia, I was less familiar. In alternating chapters we follow both stories. The one of the Romanovs imprisonmrnt and eventually murder is written in a linear timeline, the story of Anna is told backwards in time, even within the same Chapter, we go backwards. I did like learning more about the girls persona 3.5 I am fairly familiar with the last days of the Romanovs, having read a few non fiction books about the subject. The woman who appears and tries to prove that she is a Romanovs daughter Anastasia, I was less familiar. In alternating chapters we follow both stories. The one of the Romanovs imprisonmrnt and eventually murder is written in a linear timeline, the story of Anna is told backwards in time, even within the same Chapter, we go backwards. I did like learning more about the girls personalities, though of course the focus is on Anastasia. They went through some terrible things, even more so because they had such a protected upbringing. Quite heartbreaking that the children were blamed for their parents mistakes. The part with Anna was also told well, but I found because of the way it was written, sometimes confusing. (view spoiler)[ Even though I knew the story of The Romanovs and their fate, I knew very little about Anna Anderson who for decades claimed to be Anastasia Romanov and worked to prove that she survived the firing squad that took the lives of Tsar Nicholas II and his family. I was pulled in at the beginning, but my interest in Anna’s story waned. Maybe it was because I knew the outcome even though I knew not much else about her. There are dual narratives - Anna’s which moves backwards in time and Anastasia’s in chronological order. In the author’s note, Ariel Lawhon relates her attraction to Anna’s story but it was the Anastasia chapters that captivated me. The imagined account of what it was like for the Romanov family in the time just before they are sent off to Siberia and their death was compelling. I was so taken by the family in spite of what history tells us about Tsar Nicholas II . Captivated enough that I now want to read more about the Romanovs. This time I’ll try a non - fiction account. I was less taken with the Anna chapters and I found myself hurrying through those to get back to the Anastasia chapters. I did though find the backward telling an interesting mechanism. It took me a while to get used to it, but I liked the challenge in spite of my desire to get back to the Romanovs in 1917. Lawhon clarifies what she takes liberty with in the telling of the story, and I appreciate what appears to be a well researched account. 3 stars but an extra half for the intrigue that has me wanting to read more about the Romanovs. I adored this book. It was cleverly constructed, expertly researched, deeply moving and I couldn't wait to get to it at the end of the day, which is when I read for pleasure. Highly recommend, folks. I admit to being endlessly fascinated with Romanov family history and with the woman who claimed to be Anastasia. 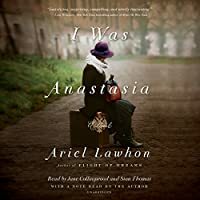 So apparently is Ariel Lawhon, as she weaves together both those stories in her latest work of historical fiction: one, about the last tragic eighteen months of the Romanov family's lives told through the eyes of their youngest daughter and the second, about Anna Anderson who claimed to be Anastasia. Anna's story is told backwards chronologically--beginning with her last court case i I admit to being endlessly fascinated with Romanov family history and with the woman who claimed to be Anastasia. So apparently is Ariel Lawhon, as she weaves together both those stories in her latest work of historical fiction: one, about the last tragic eighteen months of the Romanov family's lives told through the eyes of their youngest daughter and the second, about Anna Anderson who claimed to be Anastasia. Anna's story is told backwards chronologically--beginning with her last court case in 1970 and then regressing back through time (what happened before that, and before that and so on). Eventually the two stories come together and the reader sees why the author chose to tell her story in this manner. It worked for me. I know a few readers have said that they abandoned the book because of this frustrating chronological structure, which keeps the reader off balance, making it hard to grasp the plot and remember names and places. But my advice is to stick with it: it does get easier to understand and there's a payoff at the end. Ariel Lawhon has done some fine writing here. I thoroughly enjoyed spending time with both Annas! This book may launch me on another Russian literature craze! The story of whether Anna Anderson was actually Anastasia Romanov has fascinated me since I was young. When discoveries were made relevant to this story, I followed them closely. Naturally, I was very excited to read I Was Anastasia, and I knew how the book would turn out (I am choosing my wording carefully because I do not want to spoil the ending for those unfamiliar with the tale). While I enjoyed the book, I had significant trouble following the story as it unfolded in I Was Anastasia. Lawho The story of whether Anna Anderson was actually Anastasia Romanov has fascinated me since I was young. When discoveries were made relevant to this story, I followed them closely. Naturally, I was very excited to read I Was Anastasia, and I knew how the book would turn out (I am choosing my wording carefully because I do not want to spoil the ending for those unfamiliar with the tale). While I enjoyed the book, I had significant trouble following the story as it unfolded in I Was Anastasia. Lawhon chose to tell Anastasia’s story chronologically and Anna’s backwards through time making it very hard at times to understand where I was in the story. I also felt it could have been edited down a bit more. I Was Anastasia is clearly a labor of love for Ariel Lawhon, and her research and effort show through in her retelling of Anna Anderson and Anastasia Romanov’s stories. Thanks to Doubleday for my ARC. All opinions are my own. You might have heard about Anna Anderson and her claim (to fame) to be Anastasia Romanov. But, if you haven't, then I suggest you google her and read up on her life. Anna Anderson's life was very interesting and it has btw been made into a movie with Ingrid Bergman and a miniseries with Amy Irving. I've seen both since I find the Romanov's a captivated subject. I was curious to see how of Ariel Lawhon would construct the story since much has happened since Anna Anderson died in 1984. Now I take f You might have heard about Anna Anderson and her claim (to fame) to be Anastasia Romanov. But, if you haven't, then I suggest you google her and read up on her life. Anna Anderson's life was very interesting and it has btw been made into a movie with Ingrid Bergman and a miniseries with Amy Irving. I've seen both since I find the Romanov's a captivated subject. I was curious to see how of Ariel Lawhon would construct the story since much has happened since Anna Anderson died in 1984. Now I take for granted that you know all about that, but if you don't know, then I will spoil the story a bit. Or rather I will reveal some truth's that may or may not be included in this book. So, read on if you dare! Since Anna Anderson died in 1984 has two things happened, for one thing, has DNA showed that she was not Anastasia, and also the graves of the Romanov's family has been found with the bones of ALL the children. So, how do you write a book when this is well-known? Easy, you make the both Anna and Anastasia's stories so believable that you want it to be true. All through the book does Anastasia's story interlopes with Anna's. We get to follow Anastasia through the years in captivity while Anna's story we get from the end unto the beginning. And, Anna's chapters. It's like reading a book backward. But, it works. It's very different, but it works so well. It's like two cars moving towards each other and you know they will crash, but you can't stop them! After the entire Romanov family was brutally slaughtered by a drunken firing squad, the family’s bodies were spirited away, hidden from the world. When all seven bodies could not be accounted for, the rumors began, and a young woman became the vortex of decades of guesswork. Was Anna Anderson really Anastasia Romanov? Is it possible she survived the slaughter of 1918 only to have an attempted suicide thwarted when she was fished form a frigid canal? Is this woman fitting the basic description of After the entire Romanov family was brutally slaughtered by a drunken firing squad, the family’s bodies were spirited away, hidden from the world. When all seven bodies could not be accounted for, the rumors began, and a young woman became the vortex of decades of guesswork. Was Anna Anderson really Anastasia Romanov? Is it possible she survived the slaughter of 1918 only to have an attempted suicide thwarted when she was fished form a frigid canal? Is this woman fitting the basic description of Anastasia and carrying the scars of wounds inflicted by both bullets and blades more than an opportunist seeking fame, fortune and the family treasures? Is she a delusional lost soul clinging to a fantasy that would make her life so much more meaningful? Was she like a leopard trying to change its spots? 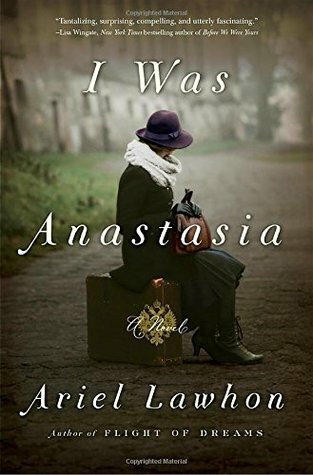 Ariel Lawhon’s I WAS ANASTASIA is a brilliantly complex and tumultuous tale of possibilities, with questions that can never be answered, of facts that are sketchy and suspect at best. One thing for sure, Ms. Lawhon’s two-pronged tale is fascinating, intriguing and very hard to put down! Anastasia’s final days are laid out in a linear fashion, from her life at the palace to her life in a foreboding Siberian home where her pampered family was forced to become common-folk, doing common labor to survive. Anastasia is presented as a strong young woman, adaptable to the circumstances of her family’s new existence. Just reaching an age where young love can bloom, only to have her life stolen away. Anna’s tale is much different as we meet an older Anna, still fighting to be recognized as Anastasia. Believers believed in her, or at least in her entertainment value. Benefactors were more than willing to champion her cause through court after court, continent after continent. We will see her life unfold in reverse until we reach the final truth of a woman who felt she deserved the life she was denied. Fabulous reading, dark, detailed, gritty and magnetic. Regardless of the outcome, regardless of what history has proven, Ms. Lawhon’s version is spellbinding from start to finish and her treatment of each character reflects the chaos each one lived through, factual or manufactured. I received a complimentary ARC edition from Doubleday Books! DNF'ing at page 93. I'm not really loving it and the horrible deaths and treatment of animals has totally turned me off. I Was Anastasia marks my first experience with author Ariel Lawhon. I was familiar with the history behind the novel, but I didn’t have any real expectations when I picked it up and was more than a little surprised when the book proved almost impossible to put aside. Lawhon’s style and tone captured my attention from the first line and refused to release its hold until the very end of the narrative. I hate to gush, but Lawhon’s ability to convey genuine tension is nothing short of brilliant. I knew where this story was going, but I still felt real fear and desperation in the musings and movements of both her leads and loved how their emotions emanated so distinctly from the page. The drama of the story is enhanced by Lawhon's brazenly ambitious structuring of the narrative. Anastasia’s chapters progress chronologically, but Anna’s are inverted. The end result leaves the reader questioning if the two voices run parallel to one another or if they are in fact two parts of a singular whole. The finale itself is wonderful, but it should be understood that Lawhon was not writing about the answer so much as the question. The ambiguity of Anna’s origin and inability to definitely identify her during her lifetime immortalized Anastasia and I adore how Lawhon’s narrative plays on that reality. The novel incorporates great historic details, but I will admit to struggling with a handful of scenes. As much as I loved the story, I was keenly aware that certain moments were based more on rumor rather than verifiable fact and while I appreciate what those passages brought in terms of storytelling, the history buff in me couldn’t help wrinkling her nose. Lawhon’s characterization of Anastasia was also more mature and worldly than I envision her, but at the end of the day, my only real comment on Lawhon’s interpretation is that it’s clear she favored Anna. I can’t presume to know why, but reading between the lines, the author seemed to have more fun with Anna’s chapters than she did Anastasia’s. Remember the thriller recently written completely in a reverse timeline, and readers either tolerated it or hated it? I didn't mind it too much, once used to it. Well, in this book only half of it goes backwards in time, but it bothered me anyway. The chapters alternate between Anna Anderson's story and Anastasia's. The Anastasia chapters slowly lead up to when the Romanov family is executed in 1918, and Anna's go from 1970 to around the time of the executions. Only at the end do we know how it Remember the thriller recently written completely in a reverse timeline, and readers either tolerated it or hated it? I didn't mind it too much, once used to it. Well, in this book only half of it goes backwards in time, but it bothered me anyway. The chapters alternate between Anna Anderson's story and Anastasia's. The Anastasia chapters slowly lead up to when the Romanov family is executed in 1918, and Anna's go from 1970 to around the time of the executions. Only at the end do we know how it all started. I have been wondering... why another book on Anastasia; doesn't everyone already know this story? Have we not watched it played memorably by Ingrid Bergman in the great old film, Anastasia, and heard the countless rumors (view spoiler)[(debunked) (hide spoiler)] of a Romanov surviving? I was curious what this author could offer that wasn't already done. For me, a few more personal details, and a renewed curiosity about Anna Anderson. This is historical fiction and the author says she fudged on some details but not much. All in all, I am not certain I'd recommend this one unless you do not already know the story, and even then a non-fiction might deliver better. I have enjoyed looking at some pictures of the two characters, and there was a definite facial resemblance. If this was my first time learning about the Romanovs, I am sure I would have rated it much higher. Knowing how it would end and failing to feel any real connection until the last couple of chapters sabotaged this experience for me, I'm afraid. Even so, some parts will remain memorable, I'm sure. SPOILER ALERT: It's almost impossible to review this book without spoilers. Takeaway for those who don't want it spoiled - historical novel that sacrifices depth and character development for a gimmicky structure. DISCLAIMER: I received an advance copy of this book from Edelweiss in return for an honest review. This is my first experience reading Ariel Lawhon and I'm deeply disappointed. I've been reading historical fiction for over twenty years and have SPOILER ALERT: It's almost impossible to review this book without spoilers. Takeaway for those who don't want it spoiled - historical novel that sacrifices depth and character development for a gimmicky structure. DISCLAIMER: I received an advance copy of this book from Edelweiss in return for an honest review. This is my first experience reading Ariel Lawhon and I'm deeply disappointed. I've been reading historical fiction for over twenty years and have been fascinated by the Romanovs almost as long. Lawhon has made some odd choices that box her into a corner with this book - the gimmicky "Memento" structure is set up so that you don't know Anna Anderson's true identity until the last pages of the book. Frankly, I don't understand why this increases the suspense. 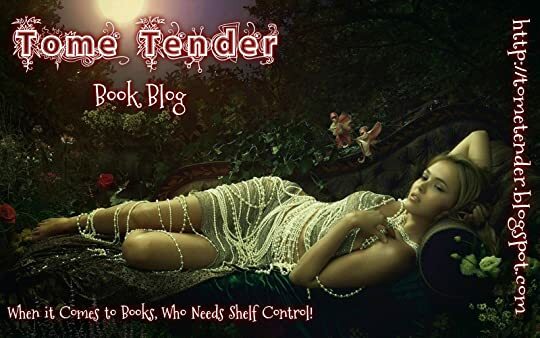 The reader knows the real Anastasia didn't escape and various clues are scattered throughout the book give away that Anna Anderson is not Anastasia. Instead, the backwards-running structure prevents any kind of in-depth character development or insight into Anna Anderson. She's a gold mine for a writer in terms of psychological exploration but Lawhon can't do that but because she has to keep the "secret" going. The forwards-running Anastasia timeline is decent although none of the Romanov family acts according to the time period or their documented personalities. WOW! Just, a 5+ stars WOW! A big Thank you goes out to Netgalley/Doubleday Publishing and the author Ariel Lawhon for an advanced ebook copy. This book was just exquisite! When I was around 12 years old I became interested in the Grand Duchess Anastasia Nikolaevna of Russia/Anna Anderson story. And just young enough and romantic enough to believe Anna was truly the Grand Duchess and survived the Revolutio WOW! Just, a 5+ stars WOW! This book was just exquisite! When I was around 12 years old I became interested in the Grand Duchess Anastasia Nikolaevna of Russia/Anna Anderson story. And just young enough and romantic enough to believe Anna was truly the Grand Duchess and survived the Revolution. But, like most young dreams and fantasies it was not to be. I’m honestly having a hard time with this review because there are no words that would adequately describe this book. The Anna Anderson timeline itself starts in the present and works backwards with parts of Anastasia's life woven in which is going forward. And this was absolutely brilliant! I loved how the author gave us descriptions of the Romanov’s days as captives, I don’t ever remember reading details quite like this before. I knew how the ending was going to be, but I was still tense and anxious like this was my first reading of the Tsar family story. Then Ariel gifts us with this awesome last chapter followed by an internal dialogue of Anna Anderson, which was very astute. And then follows that with the best Author’s note ever. I am sure most if not all know the ending to this story, I say, Read. It. Anyway. This book has become my favorite historical read of 2017! And that book cover is my absolute favorite, ever! Gorgeous! Ariel Lawhon you have found a forever fan. In July 1918, Tsar Nicholas and the entire Romanov family was brutally murdered by the Bolsheviks. For decades people believed that Anastasia Romanov survived. This is that story told through two story lines - Lawhon flips back and forth in time, telling us about the final months the Romanov family and then the subsequent years when people tried to prove that Anastasia Romanov survived the murders. I loved Lawhon's style of telling the story in pieces, jumping back and forth in time. I was comple In July 1918, Tsar Nicholas and the entire Romanov family was brutally murdered by the Bolsheviks. For decades people believed that Anastasia Romanov survived. This is that story told through two story lines - Lawhon flips back and forth in time, telling us about the final months the Romanov family and then the subsequent years when people tried to prove that Anastasia Romanov survived the murders. I loved Lawhon's style of telling the story in pieces, jumping back and forth in time. I was completely sucked in to the story and was completely taken aback at the ending. Highly recommend! This cover is gorgeous but that isn't even what attracted me to this book. It was Anastasia. I first fell in love with Anastasia when I saw the animated movie about her. I love reading anything about Anastasia and this historical fiction wasn't just intriguing, it was impossible to put down! There is, of course, some brutality when you read about what happened to the Romanov family. If you've never read anything about Anastasia I would highly recommend this book and then deep dive into historica This cover is gorgeous but that isn't even what attracted me to this book. It was Anastasia. I first fell in love with Anastasia when I saw the animated movie about her. I love reading anything about Anastasia and this historical fiction wasn't just intriguing, it was impossible to put down! There is, of course, some brutality when you read about what happened to the Romanov family. If you've never read anything about Anastasia I would highly recommend this book and then deep dive into historical fact. This book follows the life of Anastasia in chronological order all the way from political undermining to the brutal end to the Romanov royal family and Anastasia's disappearance. The in reverse chronological order it follows Anna Anderson, the girl who claimed to be Anastasia all the way to her death and the struggles she endured. When the stories meet it is amazing! Years ago when I was a teenager I saw the movie Anastasia with Ingrid Bergman and Yul Brenner. It captivated me. As I sat in my living room watching this Black and White film, everything about it was a wonder. The acting, the subtle romance between Yul Brenner and Ms. Bergman... I was hooked. I then found Nicholas and Alexandra: An Intimate Account of the Last of the Romanov and the Fall of Imperial Russia. It was a 1967 biography of the last royal family of Russia by historian Robert K. Massie. I inhaled that and always wondered about what was the real story behind this Myth. A gifted copy was provided by Doubleday Books via NetGalley for an honest review. I've been attracted to fictionalized versions of the Anastasia Romanov story for as long as I can remember (especially the recent Broadway musical and the 1997 film that inspired it), and even if Ariel Lawhon's I Was Anastasia is far from a romanticized, child-friendly take on the tale, it instantly intrigued me when it came onto my radar. I love the notion of the whole history being unfolded in a dual timeline that explores the bloody Russian Revolution and Romanov family's fall from grace, as I've been attracted to fictionalized versions of the Anastasia Romanov story for as long as I can remember (especially the recent Broadway musical and the 1997 film that inspired it), and even if Ariel Lawhon's I Was Anastasia is far from a romanticized, child-friendly take on the tale, it instantly intrigued me when it came onto my radar. I love the notion of the whole history being unfolded in a dual timeline that explores the bloody Russian Revolution and Romanov family's fall from grace, as well as Anna Anderson's more present claims that she is the long lost Grand Duchess, a survivor of the tragedies of the past. Lawhon's dual timeline approach is ultimately both why this novel appealed to me and why I had a hard time loving it as much as I thought I would. While the past timeline unfolds linearly, the present timeline begins in the late twentieth century and works its way backwards towards the truth of what happened the night the royal family faced their execution. Reverse timelines are inherently tricky to pull off ... and with good reason. They're hard for an audience to follow because everything you're reading now is build-up for what you read before, which requires some mental gymnastics when you're used to the opposite, and telling a story backwards also require a high level of opacity from the narrator in order to not give away past events. I had a very difficult time immersing myself in the present timeline for that exact reason—I felt like I was just getting to know characters as they would disappear from the storyline, and I constantly had to re-orient myself after every shift in time and remember we were moving backward not forward. It was hard for me to connect with Anna Anderson or the other characters in her life as she sought to prove her identity as Anastasia. I did, however, adore the richness of the past storyline, which explores the lives of the Romanov family when everything they know has been up-ended. I thought the characters and their interactions with one another were fascinating, especially the loyalty of the Romanovs' servants and other hired help, as well as the unexpected bonds that form with the original guards. It's especially moving since that timeline is told from a child's perspective, and we watch Anastasia's innocence get stripped away through dark and brutal scenes that left me chilled to the core. What I love most about I Was Anastasia is that Lawhon manages to keep you hoping and praying and holding out for an ending that you know isn't coming from the start. For anyone familiar with the Romanov tale, there's only one way that the collision of the past and present timelines can result, and yet I was still holding my breath during those final chapters. Even though I found Anna Anderson's story in the present timeline to be confusing and hard to connect with, I did love the past timeline and enjoyed I Was Anastasia overall. It's more than apparent that Lawhon has invested much research and care into this novel, and now I'm even fascinated to continue learning more about the truth behind the Romanov story. Is she or is she not? That is the question surrounding Anna Anderson who insists she survived the massacre of her family in the basement. She claims to be Anastasia Romanov, the Russian Grand Duchess. She bears an uncanny resemblance to her and has many scars on her body that she says prove her identity. Back then dna testing was not available to prove or disprove her story.Fascinating yet horrifying this historical suspense is based on research the author has done. Many scenes and wording of se Is she or is she not? That is the question surrounding Anna Anderson who insists she survived the massacre of her family in the basement. She claims to be Anastasia Romanov, the Russian Grand Duchess. She bears an uncanny resemblance to her and has many scars on her body that she says prove her identity. Back then dna testing was not available to prove or disprove her story.Fascinating yet horrifying this historical suspense is based on research the author has done. Many scenes and wording of sentences are true to her research. The author has in her research sifted through 50 years of facts in this book with it's many twists and turns. Anna Anderson had a 50 year battle to be recognized as Anastasia Romanov, survivor of the bloodshed that happened that night. Did she succeed and live a happy life? I know if I think she was the Grand Duchess, now what's your verdict? I loved this book so much I endorsed it officially! A wildly unique look at the dual mysteries of Anastasia Romanov and her possible imposter Anna Anderson results in a brilliant reimagining of two fascinating lives. Complex, exciting, and beautifully written, Ariel Lawhon never disappoints. Her impeccable research and lush prose make I WAS ANASTASIA compulsively readable. A fantastic novel. The constant shifting in the timeline of the story confused me at times. Anna’s timeline is all over the place and I would have preferred to have hers go chronologically like Anastasia’s. I really liked Anastasia’s POV but couldn’t get into Anna’s. This book re-sparked my interest in the Romanovs and now I need to go read some non-fiction books about them. Excellent interview with the author on NPR. Whether you have always been fascinated by the mystery Anastasia Romanov or are diving into it for the first time, you will be enraptured by this accounting of Anna Anderson 50 year odyssey to be recognized as the surviving member of the Russian dynasty.